The Iraq War has been the costliest U.S. conflict since the Vietnam War. To date, few official studies have been conducted to review what happened, why it happened, and what lessons should be drawn. The U.S. Army in the Iraq War is the Army’s initial operational level analysis of this conflict, written in narrative format, with assessments and lessons embedded throughout the work. This study reviews the conflict from a Landpower perspective and includes the contributions of coalition allies, the U.S. Marine Corps, and special operations forces. Presented principally from the point of view of the commanders in Baghdad, the narrative examines the interaction of the operational and strategic levels, as well as the creation of theater level strategy and its implementation at the tactical level. 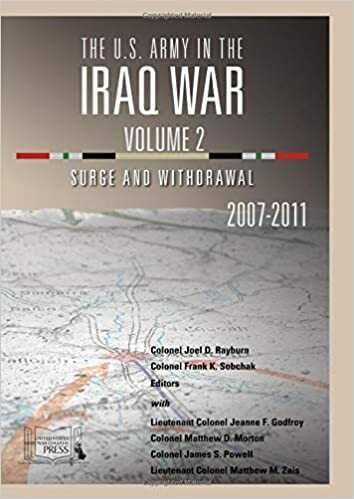 Volume 2 covers the 2006-2008 troop surge to deal with the Iraqi insurgency, and the 2009-2011 drawdown of U.S. forces.